When recently asked what she thinks of the [Twilight fanfiction] world, author Diane Munier said, “What [Twilight author] SM achieved in my opinion was the ability to make women feel first love….That woman took us into the ache.” I hope Ms. Munier will pardon me for appropriating her words, but that statement perfectly encapsulates the magic of her own writing: this woman takes us into ourselves, moving us with a deeply satisfying story in the process. Through the eyes of her beautifully flawed characters, Munier takes us to the bottom of our souls, revealing everything we are and everything we wish we weren’t. We confront our pasts, unearthing treasures we never knew were there, and baby-step our way toward a future we didn’t know we could have. Munier has been doing it for years under the apt pseudonym “Counselor” in the Twilight fanfiction world, and she does it this time for the masses with her first fanfic-turned-novel, Me and Mom Fall for Spencer. In this poignant story, Sarah Sullivan is a mid-twenties loner with a small life just big enough to handle. Her mother, boss, and neighbors all need a little piece of Sarah to make it through the day, and that’s just fine with her. Until Spencer Gundry moves in next door and upsets her vegetable cart. He has no business living in Frieda’s old house, no business peeking over the gate into her garden, and definitely no business making up sweet and silly songs about Sarah’s comings and goings. Not that he ever listens. Despite her attempts to ignore the intriguing interloper, Sarah can’t stop their paths from crossing. His affability annoys her as does his curiosity about her life. And his being handsome doesn’t help. But as the title indicates, Sarah isn’t the only one with eyes on Spencer. And Marie Sullivan doesn’t like sharing what’s hers nor does she hold her tongue when Spencer artfully dodges questions about his past. If it takes a village to raise a child, then it requires Sarah’s neighbors to accept Spencer Gundry for who and what he says he is. But can they? Me and Mom Fall for Spencer is a book about falling in love and finding yourself, not necessarily in that order. It’s about having the courage to say yes and the wisdom to say no. It’s about releasing your past to take hold of your future. But the magic of Diane Munier is that Me and Mom Fall for Spencer is just as much about you and me as it is about Sarah, Marie, and Spencer. Because it’s about life. The unexpected magic of this glorious, unpredictable, complicated life. And it is worth every precious word. 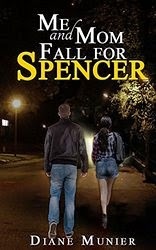 Me and Mom Fall for Spencer is available on Amazon. 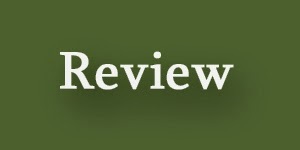 Lovely review, and so well said.